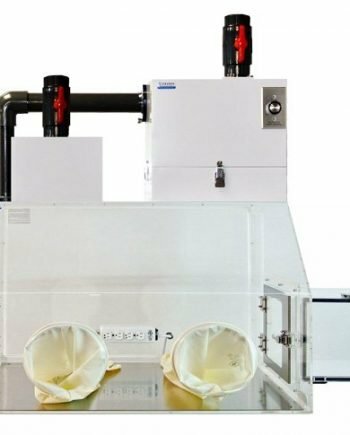 2400 Series filtration glove box is a combination of isolation glove boxes 2100 series with HEPA filtered glove boxes 2300 series. 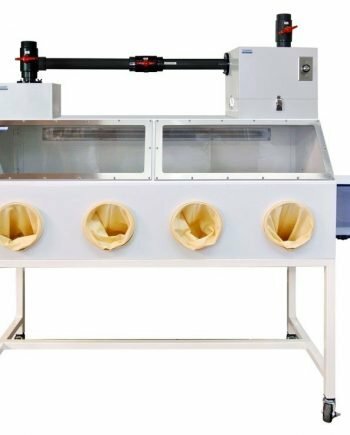 It provides low humidity environment along with a clean, particulate controlled work space for critical processing operations in nanotechnology, semiconductor and pharmaceutical industries. 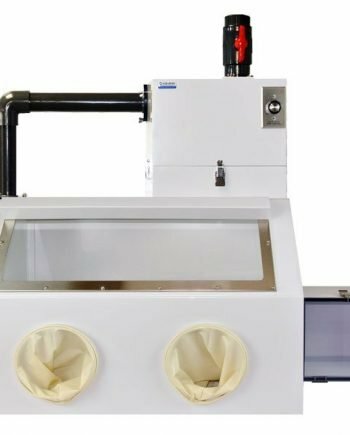 As in 2300 series , closed loop glove boxes can be configured as negative pressure to protect the operator from hazardous airborne particulates and powders or positive pressure to protect samples against airborne particles. 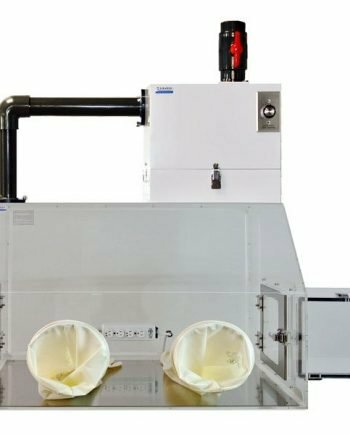 Positive pressure glove boxes may be appropriate for use for applications required ISO 5 cleanliness Level. 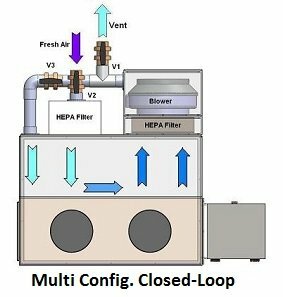 In multi-Configuration glove box a valve system allows conversion from open exhaust operation with fresh make-up air, to a closed-loop recirculation for capture particles. 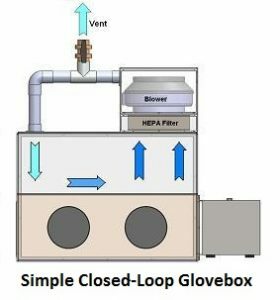 In the simple loop glove box systems, inside atmosphere purified by continuous recirculation through a HEPA or ULPA filter. 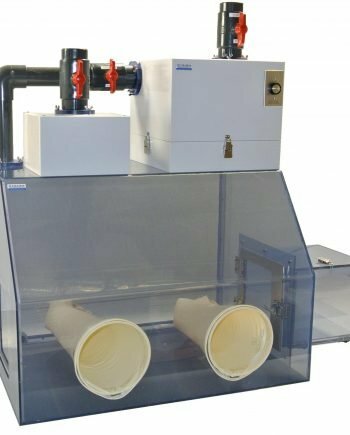 The filter removes particulate and other contaminants to provide a clean process environment. 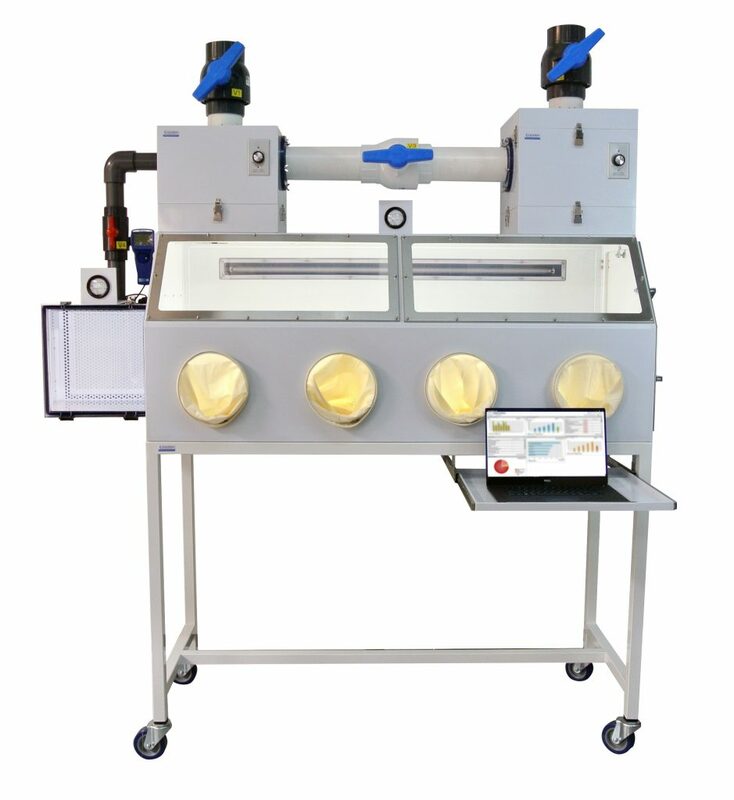 Gloveboxes available in four materials: Acrylic, Static-dissipative PVC, Non-dissipative PVC and Polypropylene. 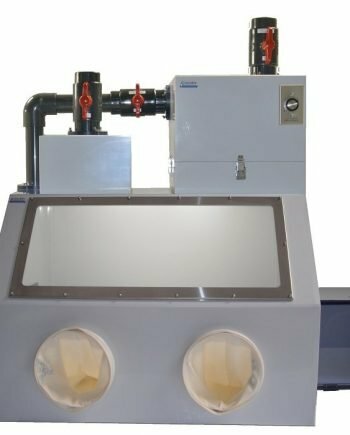 Click on the product codes to see the datasheet or request a quote. Material Guide Video! 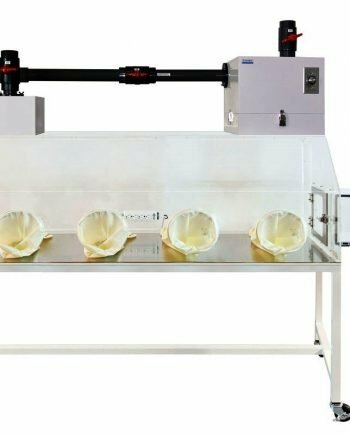 Clear acrylic glove box is ideal for general purpose processing. Non-dissipative Acrylic could be damaged by some cleaning agents. 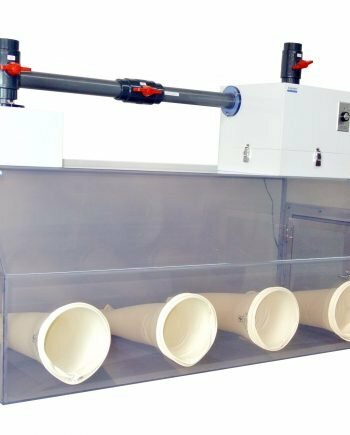 Chemical Grade Clear Static-Dissipative Acrylic eliminates static charges keeping the dry box clean and it does not attract particles from the air and has a powerful chemical resistance. (e.g. no effect against Alcohol, Sulfuric Acid and Sodium Hydroxide 30%, Ethanol). 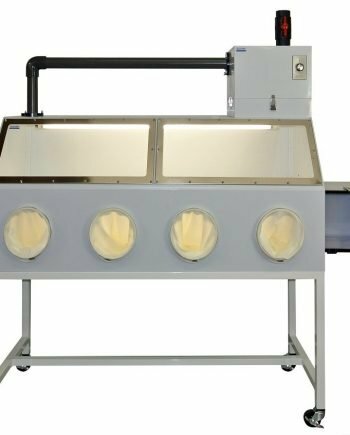 Clear PVC glove box is a good economical choice for operations with many corrosive chemicals and alcohol. it’s transparent with slight gray tint. 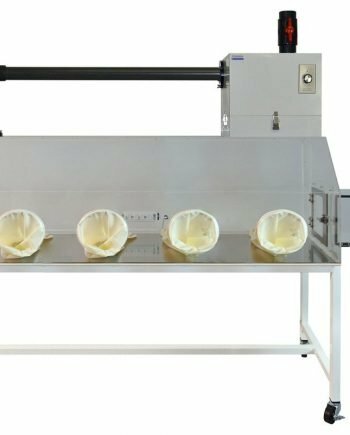 Polypropylene is the best chemical resistant in plastic glove boxes and recommended for application involved with Acetone and acids. 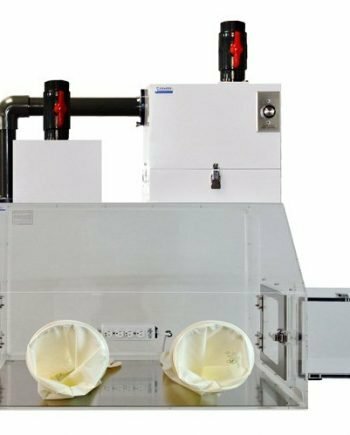 Airlock Pass-through Transfer Chamber measures minimize nitrogen loss and contamination inflow.